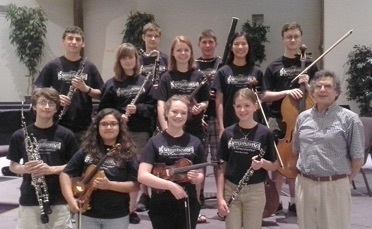 Junior Symphony of Vancouver, Cascades Presbyterian Church, 9503 NE 86th St., Vancouver, WA 98662. $10 available at the door, 7:30 pm. Reception following. Program includes: Scarlatti - Capriccio, from Sonata No. 380/L23; Three Corelli Dances; Bach - Brandenburg Concerto No. 2 BWV 1047; Rau - Variations; Solitude sur la montagne and Bizet - L'Arlésienne Suite #2, Intermezzo. 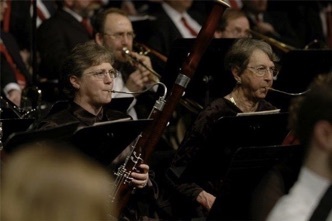 Junior Symphony of Vancouver, Cascades Presbyterian Church, 9503 NE 86th St., Vancouver, WA 98662. $10 available at the door, 7:30 pm. Reception following. Concert includes: Ballet Music I from “Rosamond,” Schubert; Nimm Sie Hin!, Polka Francaise, Op. 358, Strauss Jr.; Shepherd’s Hey, Grainger; “Brindisi” (Drinking Song), from La Traviata, Verdi; and First Suite in Eb, Op.28, No.1, Holst. Golly this sounds fun! Westside Community & Youth Orchestra, presents “An Old Fashioned Christmas,” with special guests: the Liberty High School Choir with soloists Anna Rikli, soprano; Heather Peterson, alto; Efrain Manases Golnalez Salazar, tenor & Tony Peterson, baritone. Liberty High School Auditorium, 21945 NW Wagon Way, Hillsboro, OR., 7:30 pm, ‘free,’ donations accepted. On the celebration program: Procession of the Nobles, Nicolai Rimsky Korsakov; Sleigh Ride, Frederick Delius; Miracle On 34th Street Overture, Bruce Broughton; Gesu Bambino, Yon Pietro; Angels We Have Heard On High; Pacem Noel, Larry Clark & Rae Moses; Gabriel’s Message & Magnificat, Dan Goeller & David Huntsinger; Amen, Collin Heade (World Premiere); & Christmas Day, Gustav Holst. Reception following concert. Junior Symphony of Vancouver, Cascades Presbyterian Church, 9503 NE 86th St., Vancouver, WA 98662. $10 available at the door, 7:30 pm. Come join this special Christmas concert: Christmas Time in Germany, arr. Lloyd Conley; Christmas Toys on Parade, Victor Herbert and Leon Jessel, arr. Mark Weston, orchestrated Douglas E. Wagner; Carol of the Bells, Ukrainian Christmas Carol, Mykola Leontovych, arr. for JSV, Collin Heade; Sussex Mummers’ Christmas Carol, Percy Grainger, arr. Douglas E. Wagner; Festival Music, Overtures & Dances (from Alcina), George Frideric Handel. Junior Symphony of Vancouver, Cascades Presbyterian Church, 9503 NE 86th St., Vancouver, WA 98662. $10 available at the door, 7:30 pm. Program includes: Dance Episode, Donald Coakley; Sonata No. 10 in F Major, Op. 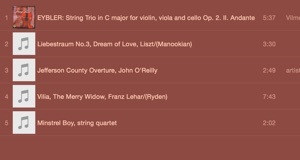 5, Arcangelo Corelli; Lullaby, George Gershwin; and An English Suite, Sir Hubert Parry. Reception following. Come join the last concert of this special season. Prairiesong, Carl Strommen; Suite in A, Op.98b “American” Suite, 1st & 5th mov., Antonin Dvořák; Our Town, Aaron Copland and O Pioneers!, by Bruce Broughton. Hollywood film composer Bruce Broughton’s composition, O Pioneers!, was rejuvenated for this specific concert, hence creating a World Premiere of sorts for this new adaptation. Reception following concert. Junior Symphony of Vancouver, St. Patrick’s Day Concert, featuring Irish Fantasy, Miriam Overholt; Overture, David Mullikin; Irish Tune from County Derry, Percy Grainger and A Celtic Set, Paul Whear. Cascades Presbyterian Church, 9503 NE 86th St., Vancouver, WA 98662. $10 available at the door, 7:30 pm. Irish reception following. Come join in the fun. Tony Peterson - baritone, and The Liberty High School Choir. 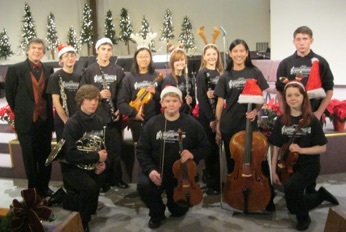 Junior Symphony of Vancouver, Cascades Presbyterian Church, 9503 NE 86th St., Vancouver, WA 98662. $10 available at the door, 7:30 pm. Come join the fun! Program includes: Henry Purcell’s Air, Minuet & Rondo from “Abdelazer,” Percy Faith’s Brazilian Sleigh Bells, Richard Stephan’s Adirondack Sleighride, Percy Hall’s Snowfall & Sleighride, Michel Rondeau’s Symphony No. 55 “Christmas Pastorale,” and your favorite sing-a-longs. Reception following. Junior Symphony of Vancouver, Cascades Presbyterian Church, 9503 NE 86th St., Vancouver, WA 98662. $10 available at the door, 7:30 pm. Domenico Scarlatti, Capriccio for String Orchestra, transcribed from Sonata K308/L23/P483 by Elaine Fine; G.F. Handel, Concerto in G minor for Oboe and Strings; Giuseppe Sammartini, Concerto Grosso, Op.11, No. 2; Hill County Rhapsody, by Richard E. Brown; and Variation, by Julius Rau. Reception following. Come join in the fun. The Wand of Youth, Suite 1, Op. 1a, Overture, Minuet, Fairies & Giants, Edward Elgar; Down a Country Lane, Aaron Copland; Highlights from Harry Potter and the Sorcerer’s Stone, John Williams, arr. Michael Story; Music from Chronicles of Narnia: The Lion, the Witch and the Wardrobe, Gregson-Williams, arr. Stephen Bulla; Symphony No. 25, 1st movement, Amadeus Mozart; Country Gardens, Percy Grainger; and The Typewriter, by Leroy Anderson. Willamette Falls Symphony, Oregon City United Methodist Church, 18955 South End Road, Oregon City, OR. $12 adults $10 Student & Seniors, 3:00 pm, Don Sticksel’s Legions Overture (world premiere), Concertos featuring winners of the WFS youth concerto competition: Elvin Choi, Saint-Saens Cello Concerto no. 1 in A minor op. 33, 3rd mov., Allegro Molto; Ian Song, violin, Édouard Lalo Symphonie espagnole, Op. 21. 1st mov., Allegro non troppo; and Renee & Randy Zhang, violin and viola, Max Bruch Double Concerto in E minor, op. 88, 1st mov., Andante con moto. Also: Antonin Dvorák’s Symphony No. 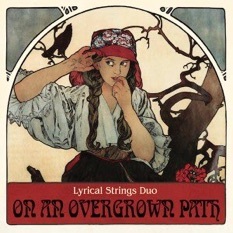 8, Op.88. 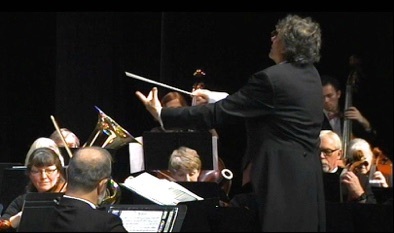 Collin Heade conducting. Junior Symphony of Vancouver, Cascades Presbyterian Church, 9503 NE 86th St., Vancouver, WA 98662. $10 available at the door, 7:30 pm. Reception following. Come join in the fun. On the menu: Suite, Concerto for Orchestra in D major, C.P.E. Bach; Overture to Rodelinda, G.F. Handel, arr. Clark; Romanian Folk Dances, Béla Bartók, arr. Monday; Rákóczi March, Hector Berlioz, arr. Leó Weiner; Franz Joseph Haydn’s Trio No. 9 in G major, Hob.IV:9, Scherzo & Presto; and Mozart’s Divertimento No. 8, KV 213. Willamette Falls Symphony, Oregon City United Methodist Church, 18955 South End Road, Oregon City, OR. $12 adults $10 Student & Seniors, 3:00 pm, “The Planets & the Heavens.” Program includes: R. Strauss’ Introduction to Also Sprach Zarathustra, Dvorák’s Song to the Moon from Rusalka, Debussy’s Claire De Lune, Hohannes Celestial Fantasy, Brouwer’s Stardance and Pluto, Holst’s The Planets. Come join in the fun. Program includes: Handel’s Overture to The Messiah; Pachabel’s Canon, arr. for JSV by Collin Heade; Haydn’s Andante Cantabile from String Quartet in F major, Op.3, No.5; “White Jade,” by Clifford Vaughan; “Holiday Jazz,” arr. by Jon Grier; “Three Spanish Christmas Carols,” arr. Mark Hellem; “An 18th Century Christmas,” arr. James ‘Red’ McLeod; and some of your favorite sing-a-longs! Westside Community & Youth Orchestra, presents “A Handel Christmas,” Liberty High School Auditorium, 21945 NW Wagon Way, Hillsboro, OR., 7:30 pm, ‘free,’ donations accepted. Special guests: Anna Rikli, soprano; Heather Peterson, contralto; Tony Peterson, bass; and The Liberty High School Choir. Program includes: Vaughn Williams Christmas; A Holst Christmas, arr. Wagner, Douglas E.; Chestnuts Roasting on an Openfire, Mel Torme, arr. Robert W. Lowden; Christmas Festival, Leroy Anderson; and Georg Friedrich Händel’s: And the Glory of the Lord, Thus Saith the Lord, O Thou That Tellest Good Tidings, For Behold, Darkness Shall Cover The Earth, For Unto Us A Child Is Born, And The Angel Said Unto Them, And Suddenly There Was With The Angel, Glory To God, He Shall Feed His Flock Like A Shepherd, and the glorious Hallelujah Chorus. Nordia House Concert, 8800 SW Oleson Rd., Portland, OR. 97224. Presented by the Finnish Messiah Lutheran Church of Portland, the concert features Jennifer Pratt-Walter and Valerie Klemetti Bessley of Celtic Muse; Elisa Boynton and Carol Deumond of Violetta Duo; the Suspense Ensemble; Vessa and Saara Vihavainen Band; the Willamette Falls Symphony Chamber Ensemble, conducted by Collin Heade; and Ellen Gould, piano. Light refreshments included. Free and open to the public; donations appreciated. 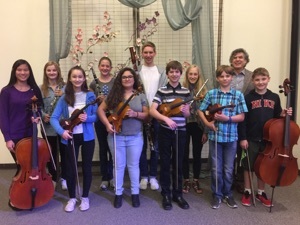 Westside Community & Youth Orchestra, presents “Epic Oscar Legends,” Liberty High School Auditorium, 21945 NW Wagon Way, Hillsboro, OR., 7:30 pm, ‘free,’ donations accepted. “And the nominations are:” Theme from E.T., John Williams, arr. James D. Ployhar; Apollo 13 Selections, James Horner, arr. John Moss; Forest Gump Suite, Alan Silvestri, arr. Calvin Custer; Selections from Indiana Jones and the Kingdom of the Crystal Skull, John Williams, arr. Victor Lopez; James Bond Medley, arr. Victor Lopez; The Magnificent Seven, Elmer Bernstein, arr. Roy Phillippe; Superman Returns, John Williams, arr. Victor Lopez; Star Wars Epic II Suite, John Williams, arr. Robert W. Smith; The Titanic Medley, James Horner, arr. John Moss. Junior Symphony of Vancouver, Northside Baptist Church, 5201 NE Minnehaha St., Vancouver, WA 98661. $10 available at the door, 3:00 pm. Reception following. Program includes music by Eybler, Liszt, John O’Reilly and Lehar. Cesar Franck, Symphonic Poem: Le Chasseur Maudit; Johannes Brahms, Symphony No. 4 in e minor, Op. 98; Wieniawski Violin Concerto No. 2, Mvt. 2, Elisa Boynton; Gliere Horn Concerto Op. 91, Mvt. 3, Susy Wolfson; Strauss Horn Concerto No. 2, Mvt. 1, Kelley Elliott. The combined choirs of Holy Family Catholic Parish in concert: Christmas Around the World Concert, 7:00 PM, Free, donations accepted. 3732 SE Knapp St., Portland, OR. 97202. Program includes: “Still, Still, Still” (Australian), “The Holly and the Ivy” (English), A Welsh Lullaby, “En Portal e Belen” (Peurto Rican), “Christmas Peace” (French), “Halina Hesus” (Filippino), “Silent Night” (German), “The Angel Gabriel” (Basque), “On That First Christmas Night” (Newfoundland), “Go Tell It On the Mountain” (American Spiritual). Junior Symphony of Vancouver, Northside Baptist Church, 5201 NE Minnehaha St., Vancouver, WA 98661. $10 available at the door, 3:00 pm. Reception following. JSV presents their Holiday Concert. Come join the Sunset Choir as they present their annual Christmas Concert! With a mix of holiday music that's classic and new, this concert is sure to please people of all ages. This is a free, family-friendly event with a small dessert reception to follow. Bring your friends and neighbors as we celebrate the true meaning of Christmas through song and cheer. Program includes segments from Vivaldi’s “Gloria,” RV 589. 7:00 PM, Sunset Presbyterian Church, 14986 NW Cornell Rd, Portland, OR 97229. Westside Community & Youth Orchestra, presents “The Bells of Christmas,” Liberty High School Auditorium, 21945 NW Wagon Way, Hillsboro, OR., 7:30 pm, ‘free,’ donations accepted. Gear up for: How the Grinch Stole Christmas, arr. Jerry Brubaker; The Bells of Christmas, arr. Bob Krogstad; People, Look East (Christmas Fantasy), Theldon Myers; Munich: Hatikva (The Hope), arr. John Williams; Canadian Brass Christmas, arr. Calvin Custer; music from Frozen, arr. Johnnie Vinson; Fantasia on Greensleeves, Ralph Vaughn Williams, arr. David Stone; Sleigh Ride, Leroy Anderson. From Georg Friedrich Händel’s Messiah: Glory to God, For Unto Us a Child is Born & Hallelujah Chorus, with Special Guests: The Liberty High School Choir. Willamette Falls Symphony, Oregon City United Methodist Church, 18955 South End Road, Oregon City, OR. $12 adults $10 Student & Seniors, 3:00 pm. Program to include: Bax, Tintagel; Wieniawski, Légende, Op. 17; Strauss, Death & Transfiguration and Salome’s Dance from Salome; and Wagner, Prelude & Love Death from Tristan und Isolde. Junior Symphony of Vancouver, Northside Baptist Church, 5201 NE Minnehaha St., Vancouver, WA 98661. JSV honors Flag Day with audience participation in singing The Star Spangled Banner & You’re A Grand Old Flag. The program also includes: Godard’s Suite of Three Pieces, Op. 116, featuring long time JSV flutist senior Kyla Pohl; Midburry Hilltop by Niehaus, and English, French & Italian Dances by Corelli, Locke, Couperin, Purcell, Vitali & Lully. $10 available at the door, 3:00 pm. Reception following. Willamette Falls Symphony, Oregon City United Methodist Church, 18955 South End Road, Oregon City, OR. $12 adults $10 Student & Seniors, 3:00 pm. Program to include: Sergei Rachmaninoff’s Symphony No. 2, Op. 27. Junior Symphony of Vancouver, Open Dress Rehearsal, Kennedy Violins, 508 Southeast 117th Avenue, Vancouver, 7:00 PM. Please see program information above for June 14. Westside Community & Youth Orchestra, “4 Animals, 3 Insects & A Dragon,” with Happy Feet: The Story of Mumble by John Powell arr. Jack Bullock, The Japanese Cricket by John O’Neill, Carnival of the Animals: Introduction and Royal March of the Lions by Camille Saint-Saens arr. Michael Story, Ant Bully by John Debney arr. Victor Lopez, Mina by Edward Elgar, Wasps: March Past the Kitchen Utensils by Ralph Vaughn Williams arr. Steven Rosenhaus, The Waltzing Cat by Leroy Anderson and The Hobbit, An Unexpected Journey, Suite by Howard Shore arr. Douglas E. Wagner. Liberty High School Auditorium, 21945 NW Wagon Way, Hillsboro, OR. Free, donations accepted, 7:30 pm. Willamette Falls Symphony, Oregon City United Methodist Church, 18955 South End Road, Oregon City, OR. $12 adults $10 Student & Seniors, 3:00 pm. Program: Jean Sibelius Symphony No. 5, Op. 82; Antonin Dvorák Violin concerto, Op. 53, 1st mov. ; Camille Saint-Saens Cello Concerto, Op. 33, 3rd mov. ; “Golem,” Jason Fromme. Junior Symphony of Vancouver, Northside Baptist Church, 5201 NE Minnehaha St., Vancouver, WA 98661. $10 available at the door, 3:00 pm. Program includes: Albinoni’s Sonata Op. 5, No. 9, Three Divertimenti by Mozart, “B-Suite” by Carrie Gruselle, and an arrangement of the traditional “Down to the River to Pray.” Reception following. Junior Symphony of Vancouver, Open Dress Rehearsal, Kennedy Violins, 508 Southeast 117th Avenue, Vancouver, 7:00 PM. Willamette Falls Symphony, Oregon City United Methodist Church, 18955 South End Road, Oregon City, OR. $12 adults $10 Student & Seniors, 3:00 pm. Program to include: Robert Schumann’s Symphony No. 4, Op. 120, plus youth competition winners. The Lake Oswego Library is pleased to present the OCP Quartet in a Back-To-School Family FUN Concert at the Lake Oswego Library. Free! September 2, 7:00-8:30pm. 706 4th St., Lake Oswego, OR. 97034. Rebecca Olson, flute; Victoria Racz, oboe; Bev Gibson, viola & Collin Heade, cello. Oregon State University welcomes back the OCP Quartet in a concert of light favorites, from a diverse group of composers, including Mica, Mozart, Krommer, Gershwin, Barry & Mancini . OSU, Memorial Union Lounge, 12:00 noon. Free! Lunches welcome. Rebecca Olson, flute; Victoria Racz, oboe; Bev Gibson, viola & Collin Heade, cello. Willamette Falls Symphony, Mt. Angel Abbey, 1 Abbey Dr., St. Benedict, OR. 97373. $12 adults $10 Student & Seniors, 2:00 pm. Program to include: Anton Bruckner’s Symphony No. 7, WAB 107; Humperdinck’s Prelude to Hänsel & Gretel and Albinoni’s Adagio in G minor for Strings & Organ. Willamette Falls Symphony, Oregon City United Methodist Church, 18955 South End Road, Oregon City, OR. $12 adults $10 Student & Seniors, 3:00 pm. Program to include: Anton Bruckner’s Symphony No. 7, WAB 107; Humperdinck’s Prelude to Hänsel & Gretel and Albinoni’s Adagio in G minor for Strings & Organ. WFS Christmas Wassail Fest Fundraiser, from 3:00 - 5:00 PM, at the beautiful historic Ainsworth House & Gardens estate in Oregon City, 19130 S Lot Whitcomb Dr, Oregon City, OR 97045. Background music to include performances by Willamette Falls Symphony musicians: two trios, duets, piano solos, cello quartet, sing-a-longs, door prizes & more. (Please RSVP by Dec. 5, phone: 503-632-7267). Westside Community & Youth Orchestra, “Sleigh Ride,” with Christmas at the Movies, arr. by Bob Krogstad, Sleigh Ride by Leroy Anderson, Stille Nacht (Mannheim Steamroller) arr. by Calvin Custer, We Wish You A Merry Christmas arr. by Jerry Brubaker, Fantasia on We Three Kings arr. by Brian Balmages and Georg Friedrich Handel’s Hallelujah Chorus with special guests The Intel Singers. Liberty High School Auditorium, 21945 NW Wagon Way, Hillsboro, OR. Free, donations accepted, 7:30 pm. West Linn Community Chorus, “Snowscape, the Joyous & Gentle Sounds of Winter,” at Holy Names Chapel of Mary's Woods near Marylhurst, 17400 Holy Names Drive, Lake Oswego. Friday, December 12th, at 7:30 pm and Saturday, December 13th, at 3:00 pm. 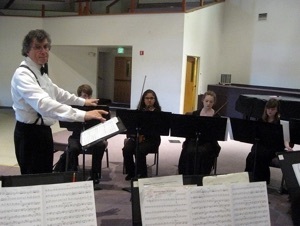 A holiday concert, performing in Festival Gloria, by Craig Courtney. Adults $12, Seniors $10, Students $6, Children 5 & under free. Junior Symphony of Vancouver, Vancouver Water Resources Education Center, 4600 SE Columbia Way, Vancouver, WA. $10 available at the door, 3:00 pm. Reception following. Palmetto Suite, by William Hofeldt; Carol of the Bells; Corelli’s Christmas Concerto, Op. 6, No. 8; Sussex Mummers’ Christmas Carol, by Percy Grainger, arr. by Douglas Wagner; plus sing alongs! The combined choirs of Holy Family Catholic Parish, Christmas Concert, 6:00 PM, Free, donations accepted. 3732 SE Knapp St., Portland, OR. 97202. Program includes: Clark’s “Pacem Noel,” Erker’s arrangement of “The Sleep of the Infant Jesus,” “Hear the Angels Sing” by Pappelis, “The Little Drummer Boy” arranged by Althouse, “The Hands That First Held Mary’s Child” by Forrest/Troeger, “Breath of Heaven, Mary’s Song” by Eaton/Grant/Larson, “Lisbon Carol “ by Mayernik, and much more.